That one was Vanadinite from the J.C. Holmes Prospect North of Patagonia. That is one cool looking specie! Well- the obvious one is Azurite but it's probably something else. With the exception of the wulfenite and the vanadinite, the rest of yours are difficult to identify. Well- the obvious one is Azurite but it's probably something else. :yuk-yuk: Your right Steve, that last one is something else. Its actually a mineral called Kinoite, and I think there is appophyllite present as well. It comes from the Christmas mine complex outside the ghost town of Christmas near Winkleman, AZ. If you guys want to try to identify one, this one is ugly but way cool at the same time. I`m sure gold was present near this specimens locality. Don't have a clue oh this either. I don't always find iron specimens near gold bearing locations. Here's one that's self collected although I'm sure my great-grandfather dropped it by the side of the shack we used to vacation in at North Carolina. I found it digging in the dirt. There are three minerals visible in the quartz matrix. That is a beauty thanks for sharing! That is one of my favorites. Kyanite is the easy one with the other two just being WAG’s. The redish looking mineral looks like it could be garnet. 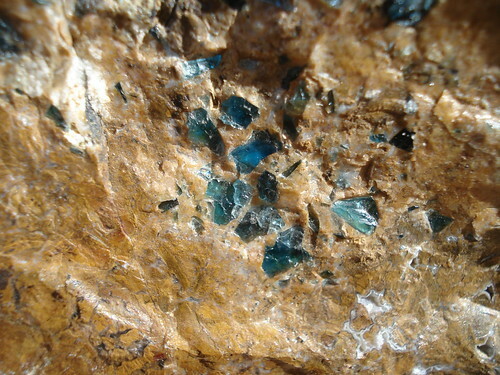 The darker mineral could be Andalusite. I have seen Kyanite specimens with both of those before but I would not wager any money on it. Kyanite (blueish) is the only one I'm fairly sure of. I have always wanted to go collecting at Graves Mtn. I have cut a few pieces of Lazulite from there and the stuff is really cool. If I am lucky I am going to buy some more in Quartzite this year. Well dang-it Rex :yuk-yuk: I got fooled because of how gemmy the kyanite looked. That is some cool stuff for sure. 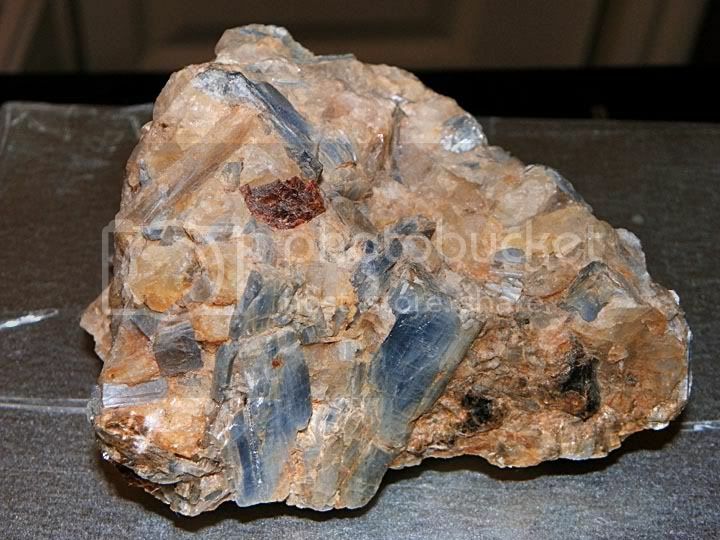 There is a kyanite locale near arizona but I dont think the crystals look as nice as yours. I would like to go to Graves Mtn. sometime as well, one guy showed up at our mine and described boulders full of minerals after a little blasting. 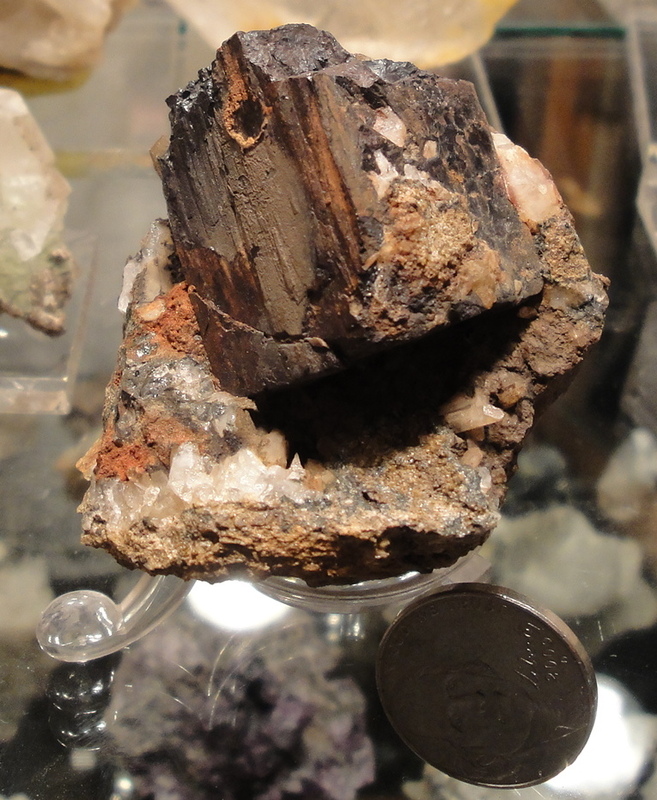 Its a self collected Arizona specimen from a fairly famous "specimen" mine. A little greener than the pic shows. My guess is botryoidal flourite. Good Guess`s guys , but Auseeker nailed it. 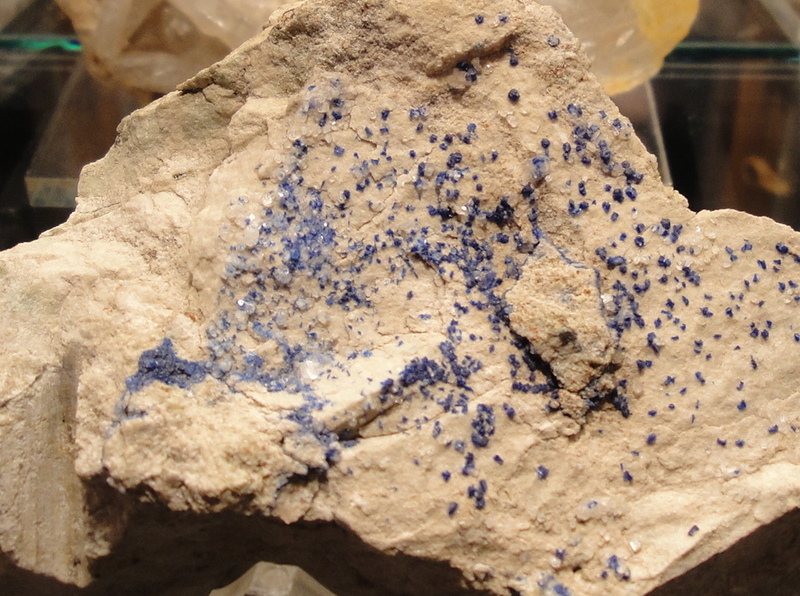 It is the Cuprian variety of Smithsonite from the 79 Mine in the Dripping Springs Mountains, AZ. I just want to say that the mine is off limits unless prior arrangements can be made. Here is one I picked at the rock show this weekend.